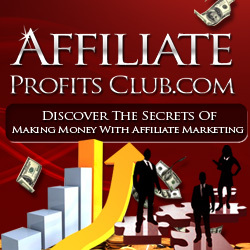 Want to know how to make money online with affiliate marketing? Here are 3 ways to slash your affiliate marketing research efforts to the bare minimum so that you can get on to the fun of promoting and marketing. Head over to the ClickBank Marketplace and choose any category you might be interested in promoting. This will bring back the top ten most popular products in that category. You might check the second page, too, if you don’t find something that interests you on page one. Don’t be put off by the fact that a product seems too popular where you fear saturation. Affiliate marketing is all about sleuthing out the potential customer – and maybe you have an “eye” for that market that others don’t. Another place to “read” your market is to go to the niche forum, say in the Forex market. Listen to the members there. What are the recurrent questions and problems that a certain product can serve? You make sure you become a helpful contributor and then note which affiliate products can best serve those people. Head to your favorite bookstore and notice the most popular magazines. If advertisers are spending money on ads, enough to support at least one magazine, then you know there’s a market for an affiliate product in that same niche. These are just some of the simpler ways to get in the head of your market. Do you enjoy digging into the minds of potential customers to find what wants, needs or desires they have? Then affiliate marketing may be just what you want to make money from home!